FRESNO, Calif. (KFSN) -- The zoo said Kara's health was declining so she was humanely euthanized on Wednesday. The zoo said officials there are deeply saddened by her death. "I still remember the day I first met Kara," said Amber Talley, lead elephant care staff member who has worked at the Zoo for 15 years. "She was this funny little elephant who definitely had her own ideas and opinions about everything. She taught me that it's not the size of the elephant in the room, but the size of the attitude in the elephant. I don't know if it was because we were born in the same year, or that we both shared a stubborn side, but getting to know Kara for all that she was, was one of the greatest gifts I've ever experienced. I am thankful for each and every day that I knew her. I know that no matter where life takes me, she will always be a huge part of what I've done for almost half of my life." Kara came to Fresno Chaffee Zoo in April 1983 from Cristiani Bros. Circus. Officials say she had been receiving care and attention for osteoarthritis issues for an extended period of time. "Although we were unable to reverse or heal Kara's osteoarthritis concerns, they had been medically managed for years utilizing different treatments including physical therapy, laser therapy and anti-inflammatory medication," said Dr. Shannon Nodolf, chief veterinary officer at Fresno Chaffee Zoo. "We even consulted with other organizations regarding Kara's care. Unfortunately, we reached a point where we were unable to stop the progression of her decline and were no longer able to manage her pain." Kara shared her exhibit with 46-year-old female Asian elephant, Shaunzi. "It is well documented that elephants do recognize and understand death," said Lyn Myers, general curator at the Zoo. "After Kara's death, we did give Shaunzi some time alone to say goodbye." The Zoo said they have been searching for a new home for Shaunzi and Kara. "There's a lot that goes into finding a new home for elephants," Myers said. "Whenever we relocate any animal, we want to make sure they're going into the best possible situation. We've been very particular with our search and are now in the final stages of securing a new home for Shaunzi." 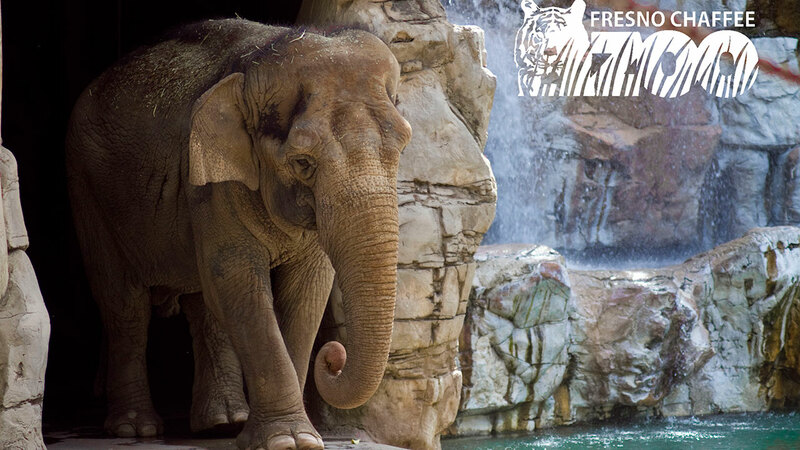 Fresno Chaffee Zoo is currently home to one Asian elephant and three African elephants.